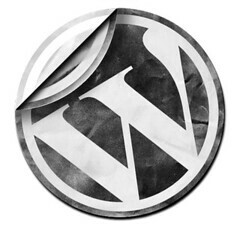 WordPress is my favorite blogging platform for one simple reason: it is flexible! I am still amazed that Blogger and TypePad are still in business… What I really like about WordPress is the level of customization you can get to. From custom themes to plugins, WordPress has made it easy for noobies to set up, and taylor your blog to your needs. Today I would like to share with you all the plugins I use. As the name says, it’s a full SEO plugin that mostly works on the meta tags (title, keywords, description) of your pages. Very powerful! It’s installed on all my blogs. A must-have plugin that generates and updates your sitemap. It also automatically submits it to Google, Yahoo, and MSN. Automatically cloaks outgoing links in your posts and pages. You can also add static cloaked links manually. Selectively disable the “nofollow” attribute for comments. I don’t use it anymore on this blog but I do use it on a few other blogs. By simply adding [digg-me] or [reddit-me] to any of your posts, this plugin will insert the icons so people can submit or digg your posts. I have it on my iPhone blog only. This plugin automatically posts the title and link of your new blog posts to your Twitter account. It can also create a new blog post from all your tweets. Adds social bookmarks services’s icons to your articles in your blogs so your readers can submit them easily. Returns a list of the related entries based on active/passive keyword matches. I install this plugin on all my blogs. This plugin allows commenters to check a box so they are alerted of follow up comments. Great for having people come back to your blog. It easily inserts a contact form anywhere you want without having to edit codes manually. I have it installed on all my “contact” pages. Display the most recent comments or trackbacks with your own formatting in the sidebar. This plugin allows you to embed random quotes into your pages. It also has a spiffy management tool in the administrative console. I only use this pluggin on our yoga blog. A plugin which reformats your site with a mobile theme when viewing with an iPhone or iPod Touch. Visit this blog from your iPhone to see it in action! A lightweight admin interface for the iPhone and other mobile devices. Perfect for creating/editing new posts from your iPhone! This plugin creates a list of recommended and existing tags when you write/edit a post. It helps you avoid duplicate tags. Very helpful if you have a lot of tags. For WordPress 2.7 and above. It replaces admin menus with a CSS dropdown menu bar. Saves lots of clicks and page loads! It is the best spam protection plugin. It now comes automatically with WordPress when you install it. Akismet saved me hours nad hours of spam filtering. This is the plugin of choice for sploggers. It’s an RSS to Post plugin. It takes an RSS feed and creates blog posts our of it. I use it on my iPhone Blog for automatically posting my own feeds. By default, WordPress only emails me comments notifications for posts written by you. This plugin alerts you of new comments on posts written by other authors of your blog. This allows you to set the number of posts you want for individual pages. For example, I have it set to show 50 posts on my Archive page on this blog. It lets you exclude categories from showing up on the home page. I also use it on the iPhone Blog for excluding the new apps and apps on sale posts from the front page. Your feeds on steroids! It adds a feed footer with a copyright, “Add to delicious”, the number of comments, or anything you want to your feeds. Very fast caching module for WordPress. I highly recommend it if you have a large blog! This plugin helps you protects your feed from sploggers using them. If set correctly, AntiLeech will generate fake content for blogs trying to reproduce your posts from your feeds. These are all the plugins I use. If you use plugins that are not on this list, please let us know in the comments what they are and why you use them. I’m always looking to add new plugins to my list.